The Fencing Championship is, after the Olympics, the major tournament in the world of fencing. It is organized by the biggest fencing authority the FIE (International Fencing Federation), and the abbreviation comes from French Fédération Internationale d’Escrime. The organization is based in Switzerland with over 100 affiliate federations worldwide. 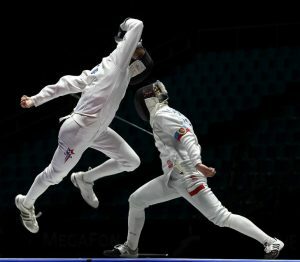 The fencing championships consist of three major categories for men and women which are further divided into individual and team categories. We have the sabre, epee, and the foil category. FIE is responsible for the rules of the competitions as well as their implementation. Fencing is a very prominent sport that attracts a lot of talented athletes, as well as a wider audience. The first international fencing championship took place in Paris three years after WWI in 1921. When we look back at the beginnings, FIE featured only competitions for men in a single category – the epee individual. The following year saw the introduction of saber as well. It took several years to make a consistent category set, and in 1926 all three categories were featured. Not long after, women were also included in 1930. First, they competed only with foil weapons, but the first team category was established for women. Since the FIE was then known as the European Championship, the first initiative to rename it to a World Championship came from Italian dictator Benito Mussolini in 1936. The initiative was considered, adopted, and since then on, the FIE’s championship became a World Championship. 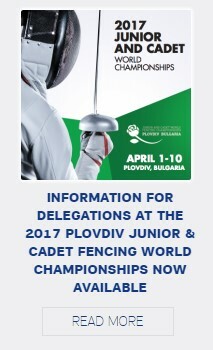 The FIE Fencing Championship was and is regularly organized every year, except 1939-1946 since it was disabled by WWII. Since the sports calendar is a very important balance-restorer, the Championship does also not take place if it overlaps with the Summer Olympics. In that case, the fencing individuals and teams would simply compete at the Olympics. As stated above, the Championship would be carried over to the Olympics in Olympic years, but yet, those categories not taking place as part of the Olympics were held separately despite the Olympics. For example, in 2000 at the Sydney Olympics, the International Olympic Committee refused to include Women Sabre in the Olympic program, so the FIE organized a World Championship for this category. The FIE and IOC did not come to even terms even four years later since the IOC requested to reduce the number of fencing events from 12 to 10. This time, Women Sabre was approved by the IOC, but FIE had to drop two team categories. The FIE organized a World Championship for these two categories. To the senior group, three other groups were added over the years. Fencing now consists of the cadet group up to 17 years of age, the junior group up to 19, and the veteran group from the age of 40 onwards. All these groups have their own championships and cups and do not interfere with each other, just like in other sports. The countries that usually rank high in the World Fencing Championships are Russia (with the most gold medals so far), Italy, Hungary, France, Germany, and Poland. USA is also good, but it is not in the top ten yet. Copyright © 2019 www.tashkent2015.uz. All rights reserved.